A translation of an old French saying is “A bad craftsman blames his tools.” As any good mechanic or craftsmen will tell you though without well-maintained tools it doesn’t matter how skilled the hand holding it is. 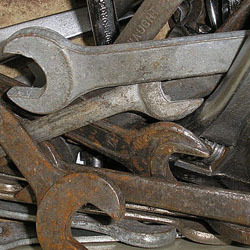 Keeping your hand tools in working order is an essential part of being a mechanic or craftsman. However, far too many people treat their tools as an expendable commodity instead of a extension of their skill. This leads to broken tools and needless replacement. What follows are a few tips to keep your tools working like the day you bought them. When you’re about to store your tools, always make it a point to clean them first. A cloth with a mixture of shellac and turpentine used to moisten it can help remove oils and sawdust from your tools. After cleaning the debris and oils from your tools the next step to worry about is rust prevention. To stop rust you have to do two things. First, make sure your tools are dry and stay that way. This means your storage area can’t be exposed to moisture or leaks. So a leaky shed is a no go, as that will ruin your tools. Even if your storage area isn’t prone to leaks the humidity can still prove problematic. For some of you that can’t be helped as the natural environment you live is naturally humid. A dehumidifier can prove very useful in keeping your workshop environment one suitable for your tools. 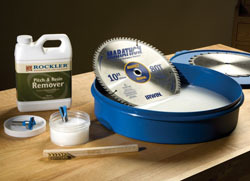 If moisture proves unavoidable be sure to sure to store your tools in a sturdy tool chest to keep the moisture out. If you’re reading this after the fact and some of your favorite tools are already beginning to rust, removing rust from tools before it gets worse should also be a priority. The second step to keep your tools from rusting is to coat them in protective substances. A light whipping of machine oil on your tools will help prevent rust where your hand tools are stored. If some of your hand tools have a steel surface then a paste wax coating can also prove useful in rust prevention. Good general storage habits are important to keep in mind. Basically your tools shouldn’t be stored on the ground or simply tossed on your workbench. 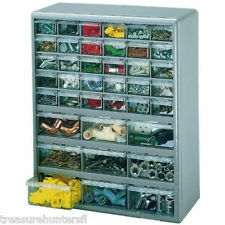 They should be organized and sorted in either a toolbox, chest, or a wall mount. Leftovers such as screws, nuts, bolts, and what have you should be stored by type and in jars or bins. Things should be sorted by type to make them easier to find when you need them. This also extends to spare tool parts such as socket heads. Everything should have a place and be properly stored. Ideally, you’ll invest in a good socket organizer to keep everything in its place. This not only make you shop neater and easier to use it also keeps your tools safe. One last maintenance tip to keep in mind is sharpening. If you own any woodworking tools then sharping is something your probably familiar with. However, keeping any edged tools sharp increase their usefulness and keeps them working like new. A bench grinder can quickly sharpen chisels, axes, knives, garden tools, and even your lawnmower blade. Instead of replacing any dull tool that depends on a sharp edge, spend a couple minutes working on it at with your bench grinder and it’ll be good as new. The obvious truth is… the key to keeping your tools working like new is to treat them well. By leaving your tools in a random pile in a wet basement you assure not only will their lifespan be shortened but also they likely won’t be of much use when you do need them.